Home inspection services are commonly utilized for people either buying or selling a home. 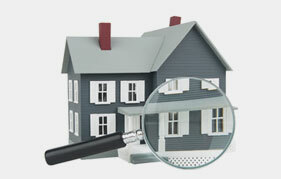 However, home inspection services can be a great tool for homeowners interested in preventative maintenance. Home inspectors cover the roof all the way down to the floor during their inspections and evaluate the structure, HVAC system, electrical system, plumbing system, and so much more. Whether you have concluded a remodel, considering some renovations, simply want to ensure your home is in tip-tip condition or tackle the minimal issues before they become catastrophes; home inspections are an excellent tool. Today, we at JMark Inspections would like to elaborate briefly on using home inspection services as a part of your preventative home maintenance. In general, home inspection services can determine if your electrical or plumbing systems are in need of upgrades, while preventing potential electrical fires or serious flooding from busted pipes. With an inspection, your inspector can identify any potential threats that you can better replace now before serious damage or hazards occur. On a lesser serious example, home inspector professionals can detect any problems with attic vents, or window trims that needs replacing in an effort to save you money down the road, which will save you money. Professionals are thorough during the home inspection process and are very detailed to help homeowners find any possible issues they can as they complete the inspections from roof to the bottom on the exterior, looking for roof infractions, wall structure, foundation, and service to room, appliances, service utilities, structure, windows, fixtures, cabinets, cupboards utilities on the exterior. While inside the inspectors will evaluate the rooms, drawers, cabinets, appliances, floor material durability, and so much more are all vigorously inspected. 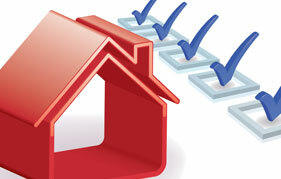 Below you will find a basic checklist professional home inspector use as they help homeowners with their proactive preventative maintenance. 1)	Caulking around windows along with trim, stucco, and siding. 3)	Overall condition of the gutters. 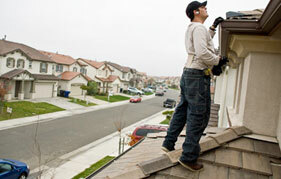 4)	Roof’s tiles or shingles are inspected for quality and if any are missing. 5)	Landscaping threat to the structure. 6)	Checks the hose faucets. 7)	Basic function of the HVAC system. 1)	Quality of the indoor caulking and weather stripping around the windows and doors. 2)	Window and doors’ opening and closing abilities as well as the security of the locks. 3)	Chimney dampers and fireplace condition. 4)	The condition and protection for cabinetry. 5)	Tile and grout’s cleanliness, the efficiency of sealing, polishing, and overall condition. 7)	Caulk and grout around the sinks, showers, tubs, walls, and thresholds. 8)	Quality of the baseboards and trim. These are just the general examples of a home inspection. As they walk through and assess the quality, performance, and condition of your home and home’s systems, they can help you find any issues and which problems should be your priority. Call JMark Inspections today to schedule your home’s preventative maintenance inspection!